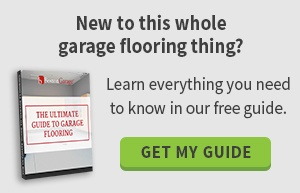 Cleaning out the garage is one of those dreaded tasks that most homeowners tackle only periodically, but there are ways to ensure that the garage is as organized as any interior closet or cabinet. And, it can be surprisingly easy and economical. As the holidays approach, wouldn't it be nice to access the decorations without having to spend a weekend lifting and toting dusty boxes, and wondering where you stowed the lights last January? By planning your storage in advance and using a logical approach, you can ensure that seasonal items are out of the way, but easily accessible when you need them. Boston Garage can help you with the logistics and the installation of your storage shelves, racks, drawers, cabinets and bins -- and we'll be happy to share our expertise. Think vertically: High shelves are functional, perfect for storing seasonal decorations. Clear plastic bins will allow you to view the contents without the need for moving boxes. If you prefer, color-code cardboard or plastic totes, and keep an online inventory of items stored for each holiday. At the very least, pack like items together and label boxes not only with the contents, but also the packing date. Boxes that haven't been opened for several seasons may be candidates for a yard sale or for donation to a thrift shop. Before packing seasonal decorations, make sure they are clean, fresh and in good repair. Store nothing uncovered and unwrapped. Do not use plastic trash bags for storage -- they are too easily mistaken for trash! If you decorate for multiple holidays, keep all like items together. 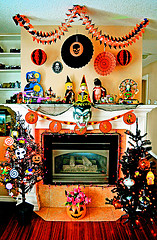 Don't intermingle the July 4th banners with the Halloween pumpkins; separate indoor and outdoor decorations as well. Pack properly. Wrap breakable items, either with packing paper or with bubble wrap. Keep string lights untangled by wrapping them around empty paper towel rolls. Replace bulbs before you pack lights away. Holiday decorations are fun; but decorating for the holidays can be a hassle if you're not organized, and a big disappointment if you can't find your favorite ornaments. By applying the same principles of organization, you can revamp the entire garage, create workshop space, store all the necessary toys, yard equipment and garden tools, hobby supplies and automobile accessories, and create a space that is as attractive as it is functional. Let us help you optimize the possibilities and develop custom solutions for your individual needs. At Boston Garage, we use only the highest quality materials for creative storage, shelving and cabinets, floor coatings and accessories. Our on-staff designers and installers are experienced and knowledgeable. It may just be the best gift you can give yourself.